The month is gradually drawing to an end, along with the year 2016, what have you been able to accomplish in thus far this month? The whole work wasn’t just for the pay, right? You also did it so you would be recognised and deemed worthy of your job, promotion and raise, right? Are you working in a company where they give out employee of the month awards? If yes, what goes through your mind most times? Are you interested? Sure you are. 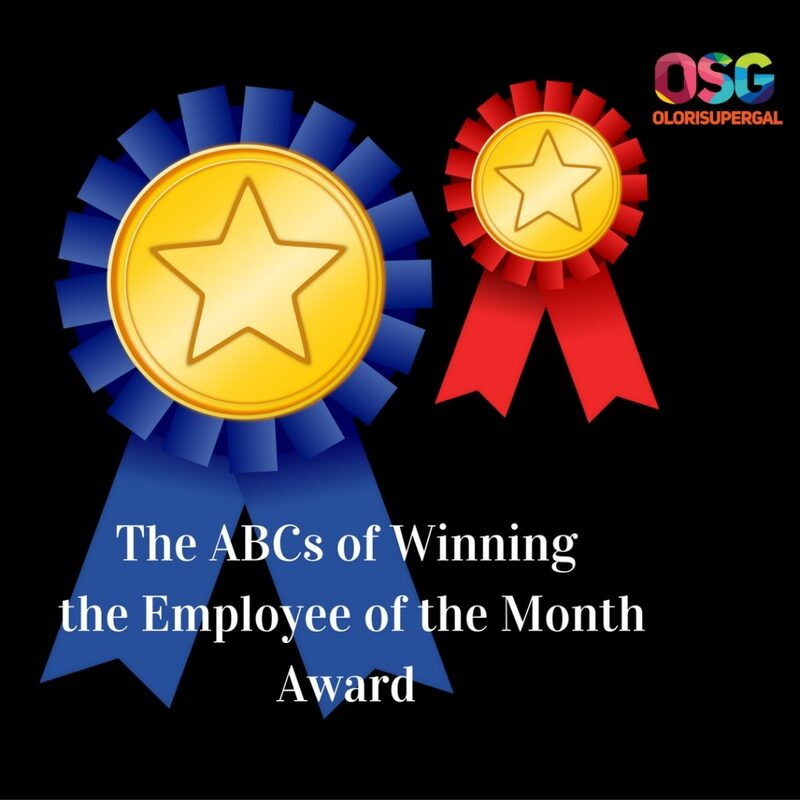 This award is usually given to the employee who has impressed his/her manager so much by adding so much value and exhibiting certain traits consistently. Adaptability: Show that you can always adapt to any change, be it in environment, technology, new ways of doing things, bosses, etcetera. Demonstrate your ability to go with the flow. Benevolence: No one wants to be used and over-used, yes, I agree. But then, be open to giving your time, skills and talent especially when it is asked of you. Don’t be too quick to say “it is not part of my job description”. Your manager (except for a strange few) will appreciate your willingness to contribute towards making the company better. Creativity: Ideas, Innovation, Collaboration- keep these 3 words at the forefront of your mind. They bring forth creativity which drives business success. 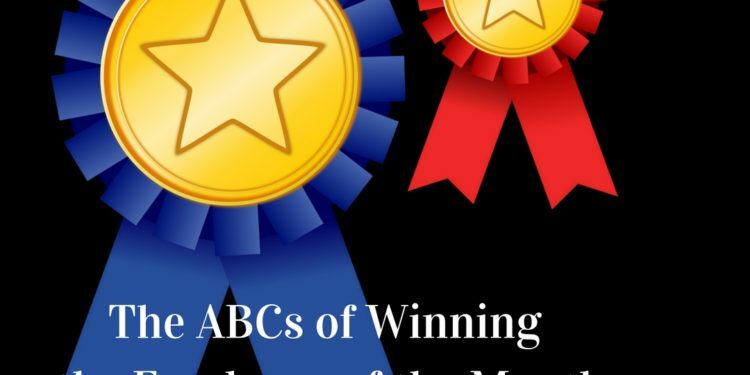 Want more success at work? Be creative in what you do. Determination: As in Benevolence, be ready to do what is required of you and a little bit extra. It shows that you care about your work and are determined to put in your best to reap the best. Enthusiasm: Smile, be enthusiastic when you talk about your work. This would show that you do like your work and are passionate about what you do. You will agree that as a manager, you will always want to work with people who are passionate about what it they do. Be Fearless: Remember that Life begins at the end of your comfort zone. Be ready to take on anything at the workplace. Be Genuine: Be a truthful and transparent person whose word can’t be countered anywhere and you will surely win you your manager’s heart. Hustling: being a hustler doesn’t mean, you go up and down roughing people up, trying to get businesses for your company. No. it means that you are a person who is always looking for new, and better ways of getting things done. Your manager wants to see results. If you hustle and deliver results, why won’t s/he like you? Innovation: An essential ingredient of creativity. As an employee, you need to be able to break the barriers of your comfort zone and come up with new ideas. Be Judicious: When you’re wise and can show good judgment it makes it easier for your colleagues and manager to come to you for advice. Keenness: be keen and eager to try out new things. You can’t build a successful career when you’re always hiding behind everyone. You will never be recognised. Come out, try new things, believe in yourself and your abilities, these will translate into a successful career life. Be Likable: Being likable makes you easy to work with. No one likes nor wants to be included in a team where that grumpy guy at the corner table is in, yeah? Smile, having a pleasant expression and an open body language will make it possible to build better relationships with your manager and co-workers. Remain Motivated: You will definitely have those days which will seem unbearable and in which you are plain tired or fed-up with your job. Take heart. Look for ways to keep yourself motivated. Remaining motivated ensures that you perform at your optimum every time. If you want to get ahead at work and be noticed, you need to always perform at your best. Be Noteworthy: Related to Motivation above, your aim should always be to perform notably at all times. Of course, ups and downs are inevitable, but when you aim to perform at your peak, it’s easier for your manager to recognise your efforts. Optimism: Always be optimistic at all times. There are always opportunities for development, though it’s up to you to look for them. Find them and you will find out you are always positive. Be a Quintessential: Be a person who sets a good example for others to follow. Be the best employee you can be. Be Results-oriented: delivering what is expected from you and extra makes you a valuable asset to the company. No company will keep an employee who doesn’t add value to it. Make sure that the goals you work towards provide results. Be a Self-starter: A self-starter is someone who takes on projects that need to be accomplished, and gets the ball rolling. S/he doesn’t anyone to prod and push them to get them along. Be that person. Use your Talent: When skill and experience meet, the result is talent – exactly what your manager will be looking for in you. If you’ve got it, flaunt it! Understanding: Be an employee who can go with the flow at the office. Take stock of what the office environment is always like. Be flexible so you can adapt to whatever it gives to you. There will be different circumstances, be willing to be flexible so you can roll with the punches. Vivacity: Cheerfulness along with a positive attitude helps you become a strong asset to the company. Smile. Working Wholeheartedly: Managers are always looking for employees who are enthusiastic and devoted to their work as well as the company. Commit yourself to working hard and showing your commitment to accomplish the company’s goals. Work wholeheartedly. Be X-ceptional: Be that exceptional person on the team who can always be relied upon and whose work ethics, attitudes and capabilities are top-notch. Y not? : Unhappy with the company processes? Do you think there is a better and proper way of doing things? Air them. Managers want to work with employees who can think outside the box, question protocol sometimes and bring up ideas on better ways of doing their jobs. Be Zealous: Being zealous means showing passion towards whatever you’re doing. Remember that your passion is what will take you further in your career. It will keep you in there even when the tough times come. Being the employee of the month sure has its perks. If you can strive to be the best always, make your manager/supervisor look good and successful, then you will surely be liked. Your aim should be to make your manager successful, as this helps in developing your path to success. Do you agree? Do share in the comments section.